Gold mine: A group of students from Speed Hall work on their M.A.S.H. helicopter next to a stash of raw materials. 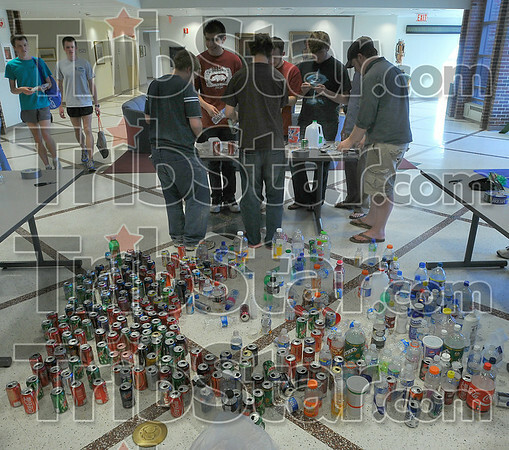 Rose-Hulman held their "Recyclomania" project Thursday night in the student union.